I think it is fair to say that most of the people that forked out good money to either attend the UFC 97 event or to purchase the UFC 97 event on Pay Per View, have been disappointed by what their money got them. While it was cool to see Chuck Liddell trying to give his MMA career another go, the title fight between Anderson Silva and Thales Lites was about as boring as it gets. It was obvious that Lites had too much respect for Silva, and Silva was holding on to tightly to his title belt to take any risks. I have seen elementry school fights that had more action in them. Neither fighter made an effort to bring excitement to the fight, which resulted in poor entertainment. The fans aren’t the only ones who were disappointed. 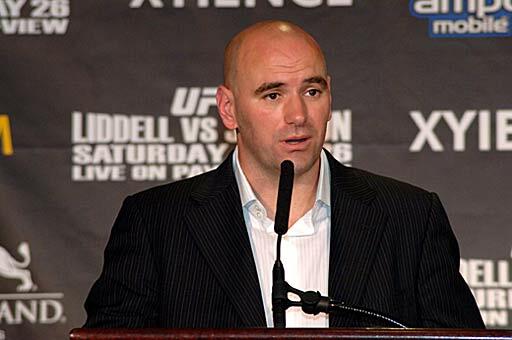 The President of the UFC, Dana White was also disappionted. He was so disappointed that he issued the statement to appologize for the boringness UFC 97 brought to the MMA fans.